We perform aerial photogrammetric surveys (nadir and prospective) for technical purposes: planning, assessments and monitoring. 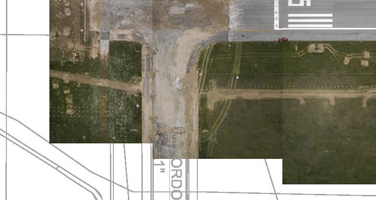 The obtained images are orthorectified and geo-referenced to allow their use in GIS or CAD. 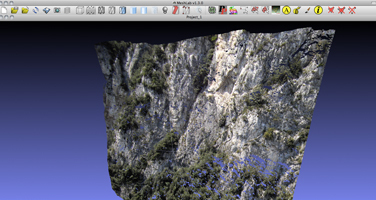 Through the use of particular softwares, from stereoscopic images, we can obtain 3D models DEM’s and DTM’s. Our services, in these areas, are addressed in particular to entities whether public or private, involved in the engineering construction to support the design and subsequent structural controls. We produce high spatial resolution orthophotos , in small or medium scale. 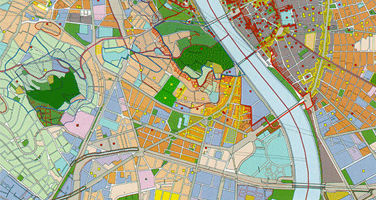 These images are optimized for integration with GIS or CAD and the potential uses are: update cadastral and thematic maps used as a cartographic base for design activities in the civil and environmental fields. Through the use of dedicated softwares, from stereoscopic images, we can obtain 3D models of land or buildings to be included in CAD and GIS. The DTM or DSM thus obtained are used in geographic information systems (GIS) or CAD to have an accurate and detailed representation of the land design purposes. This data, when used in a GIS environment, have many applications in the study of the territory, with particular regard to investigations for the mitigation of natural hazards. A strategic use in these areas are modeling, design and monitoring of river networks especially in flooding emergency. Another important application is the monitoring and assessment of mining activities through the 3D reconstruction of all kinds of quarries. The digital orthophoto is an “integrated” tool for immediate investigation because it can provide essential data in many case studies (spatial planning, geological risk, seismic risk, etc.). Decisional elements are important for the census of illegal dumping, analysis of forest fire risk, etc. Our spatial data allows the construction of thematic maps with dedicated symbols such as building sites integrated with sections, dimensions, plant, logistics information, etc. We can also generate 2D and 3D sports facilities such as golf courses, ski slopes and roads, which can be uploaded on portable devices such as tablets and smartphones.